Licensing issues force us to have to pass on this great-looking rhythm title. 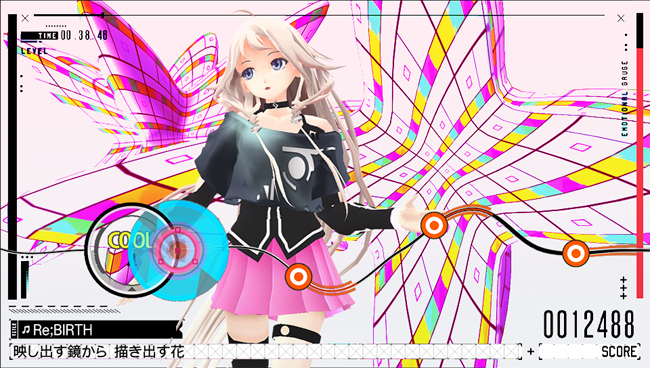 Though us Westerners are getting our own Project Diva release for 3DS later this year, we won't be seeing a localized version of IA/VT Colorful, Marvelous' upcoming Vocaloid rhythm game. The PS Vita title features too many songs that will involve licensing problems, said producer Kenichiro Takaki, speaking to Siliconera. "If it were possible, I'd love to bring it over, but there are a lot of difficulties involved in that process. Now, that said, there's no reason why you can't import it. Since it's a music title, and since music is arguably one of the most protected media types artists have, that just means more doors to knock on and more approvals to get. It's far more difficult than a Senran Kagura title." So if you had your heart set on playing an English version, it looks like you're going to be stuck bringing over the original. Maybe with enough support you can inspire a future release, licenses and all!